It takes volunteers to build trails! We need all hands on deck to help us finish our new trail at Southside Park before the grand opening on March 23rd! 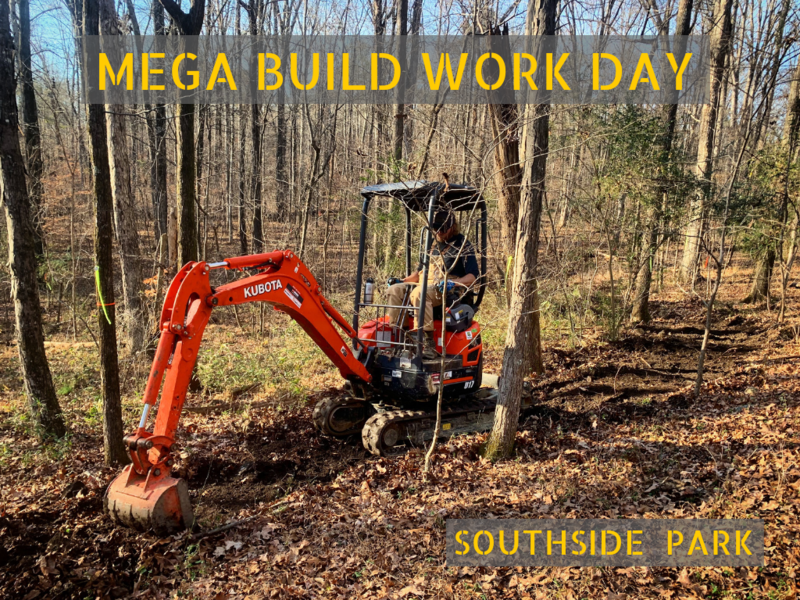 Help us out this Sunday from 12-5 doing finishing work on the new 3 mile Intermediate Trail at Southside. Wear long pants, closed toed shoes, weather appropriate clothing, bring gloves, water, and snacks. Meet up at 12 at the main parking lot and stay as long as you want.